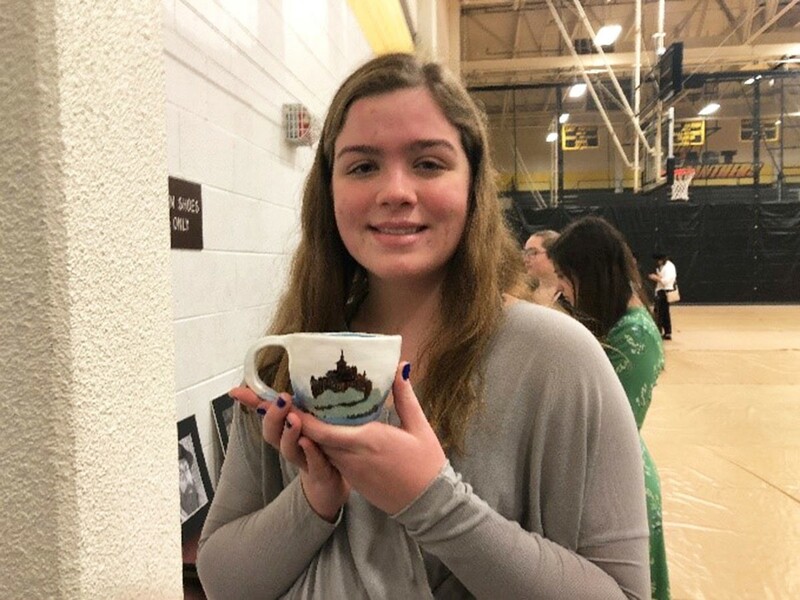 Sophomore Caroline Beck poses with her art entry, a handmade mug decorated with an image of the Mont-Saint-Michel. This March, Duchesne Academy traveled to Plano High School to compete in the annual Texas French Symposium. The Duchesne team was led by Madame Elizabeth Hythecker, who has the unique perspective of having participated in the event as both a student and a coach. The Texas French Symposium is a non-profit organization that offers opportunities for French students to compete academically and artistically against their peers from across the state. The Symposium is the largest French competition in the Southwest and consists of 34 schools from around Texas. Duchesne came in 6th place overall, and several students ranked high in their events. Bollman agrees that the Symposium is more than the competition – it’s about the experience. Congratulations Duchesne for a great Symposium and good luck next year!